Want a new look to your driveway, but want to pay at a later date? No problem, Please fill in the form below to apply for our 2 year interest free finance deal, we will submit this and get back to you within a week with a decision. 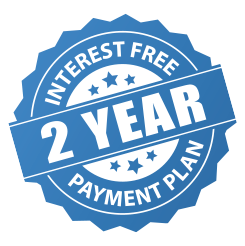 The 2 year interest free deal spread the cost over 24 monthly payments. Does Spouse live at the same address? You will need to be over 18, employed or retired, and receive a gross income of £10,000 per year. You will need to be a permanent UK resident and able to supply 3 years of UK address history. You will need to have a good credit history with no late payments, debt relief orders, CCJs, IVAs or bankruptcies. You will also need to have a UK bank account and have the details with you. You will need to pay a deposit by chip and pin card. You will need an email address as your 2 year plan documentation will be emailed to you. Finance offered subject to status.